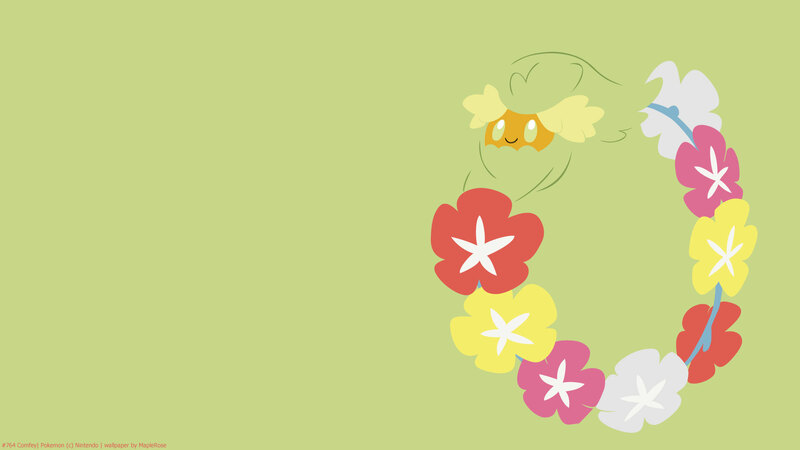 Comfey is based on a Lei. It holds onto a strand of flowers, but the flowers aren’t part of its body. It’s kinda like Klefki and its keys. Comfeys have appeared in the anime without the flowers, and it looks weird. I feel like Comfey should be part Grass type, having flowers and all, same with the Flabebe family. 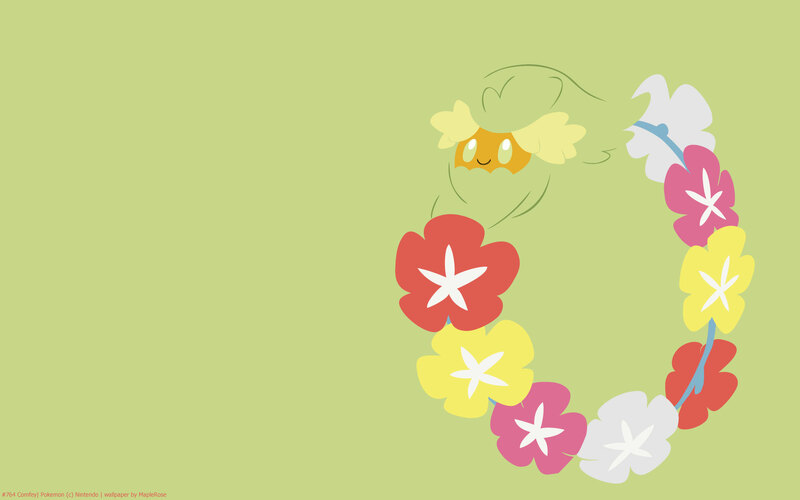 It is actually pretty similar to the Flabebe family, with a Pokemon with a symbiotic relationship with flowers. 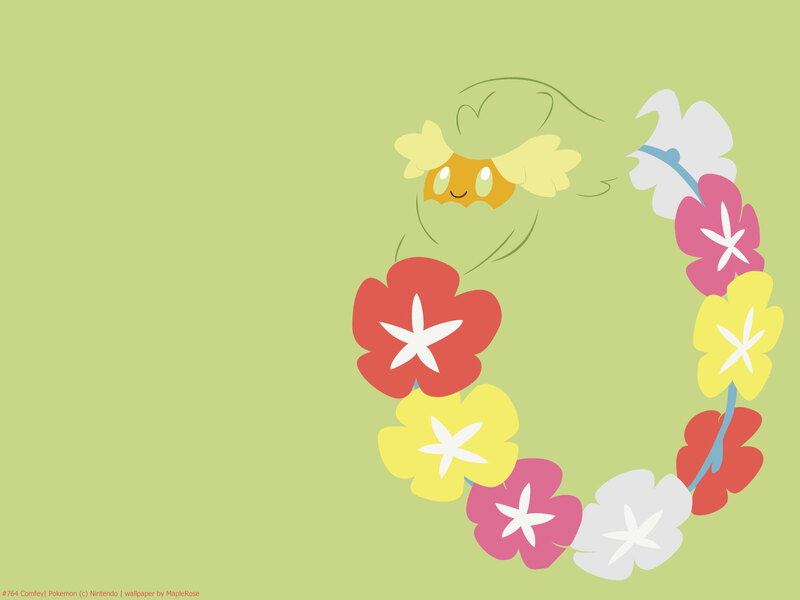 Also, Comfey and all members of the Flabebe family are the only Pokemon to have the ability Flower Veil. Comfey has a signature ability in Triage, which gives priority to healing moves, including both damage-dealing moves that heal (such as Giga Drain), and status moves (such as Rest). However, it does not affect moves that heal at end of turn such as Ingrain or Leech Seed. Comfey also has a signature move in Floral Healing, which heals the target’s HP by 1/2, or 2/3 in Grassy Terrain. Stat-wise, it has very good Sp Def, and pretty good Def. It actually has good Speed as well. It’s offensive stats are lower, but I think it’s meant to be a support Pokemon.